Ms. Kenworthy is a member of Kirton McConkie’s Litigation, Trials & Appeals section. Her practice focuses on complex civil litigation and securities enforcement actions. She has litigated matters in state and federal courts through the US involving shareholder class actions and derivative suits, trade secret claims, commercial contract disputes, and professional liability. 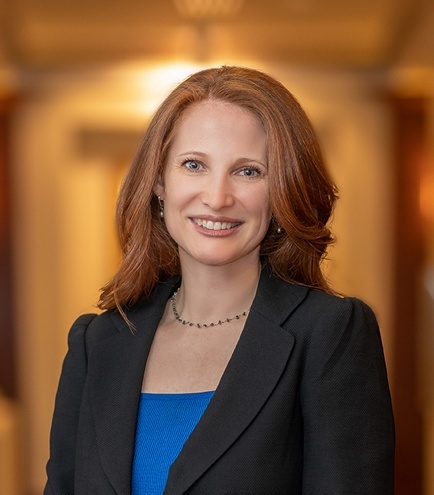 Ms. Kenworthy has also represented clients before the Securities and Exchange Commission and the Public Company Accounting Oversight Board with respect to investigations and possible claims of securities laws violations. Her experience ranges from large, multi-million-dollar defense matters to small, simple contract disputes. In re iMergent Securities Litigation. A securities class action alleging a misrepresentation and misstatement of audited financial statements against Grant Thornton. After a motion to dismiss the second amended complaint, the federal court dismissed the claims with prejudice. In the Matter of Kevin Hall and Rosemary Meyer. The SEC brought an administrative action against two auditors claiming unprofessional conduct. After a two-week trial, the ALJ found that both auditors had complied with professional standards. Klein-Becker v. Englert. Worked with team to obtain and carry-out a Federal Marshall search and seizure warrant against a trademark infringer and grey-market dealer of the client’s products and intellectual property. Brigham Young University, J. Reuben Clark School of Law, J.D.